The fourth annual Clear the Shelters event, a nationwide pet adoption initiative, will be held Aug. 18. Hundreds of shelters — including locations in D.C., Maryland and Virginia — will waive or reduce fees as part of the one-day adoption drive. 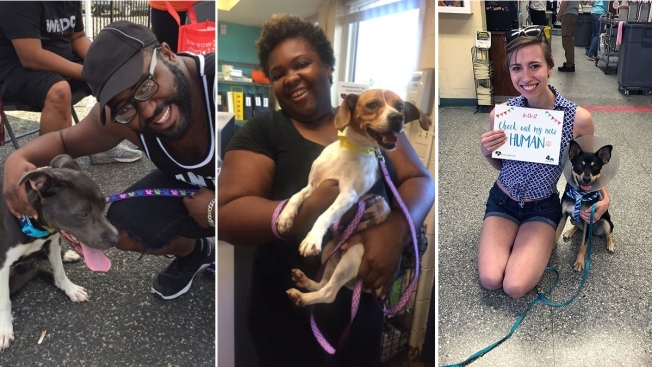 More than 61,000 pets were adopted during last year's event, including more than 1,300 in the D.C. area. One of those was a dog named Odysseus, then 10 years old. The odds weren't necessarily in his favor: He was a senior dog and also a large one, at 73 pounds. But the German shepherd went home with his new humans that day and found his happily ever after. "He is a fully integrated member of the family," one of his new pet parents, Tammy Garrett, told NBC Washington. "He loves affection and loves to snuggle at our feet. If he sees my husband and I hug, he immediately wiggles in between us so he can get some hugs too!" Millions more pets remain homeless. Every year, 6.5 million animals end up in shelters nationwide — and only 3.2 million are adopted, according to the ASPCA. But the number of dogs and cats going into shelters each year has declined in recent years. The number being euthanized has also declined, and the ASPCA attributes the decline in part to an increase in the percentage of animals being adopted and an increase in the number of strays being returned to their humans. 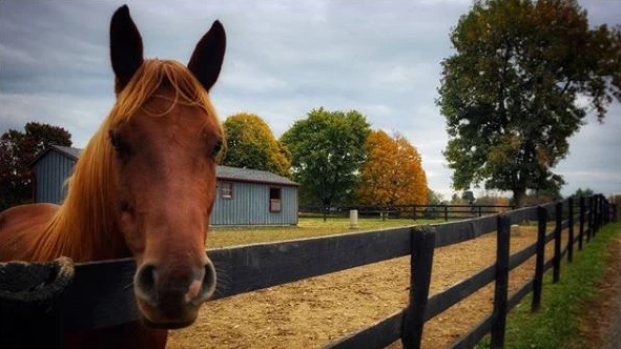 Dozens of local shelters will take part this year in Clear the Shelters, searching for homes for dogs, cats, rabbits and even horses. We've listed them all below. You can also search on the interactive map above for the one closest to you. Animal Welfare Society of Howard County, Inc.